Go into any of the 2,700 Goodwill stores and you’ll find a lot of the same types of things: clothing, books, electronics, furniture. What you won’t find are pieces of artwork worth as much as a new car. Items such as an original Salvador Dali drawing donated anonymously to Tacoma Goodwill go onto Goodwill’s auction site, shopgoodwill.com. The Dali drawing sold last year for $21,005. “The donation attendant recognized there was a signature on the piece, which made it important,” said Dylan Lippert, e-sales manager for Tacoma Goodwill in Federal Way, Wash. Though the piece — titled “Reflection” and likely created by the Spanish surrealist during the 1960s — went onto shopgoodwill.com on November 6 for $999, it wasn’t until November 11 that the first bid was entered. Lippert and the Tacoma Good­will staff weren’t worried. “It’s common for rare items to generate a lot of views but no bids in the first few days,” he said. 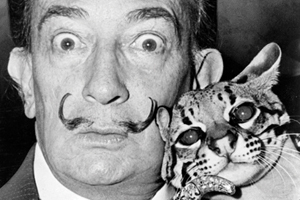 According to Lippert, Tacoma Goodwill did not have to promote or advertise that it had original Dali artwork for sale. “We allowed the website and media attention to promote it for us,” he said. Tacoma Goodwill President and CEO Terry Hayes said the Goodwill affiliate saw a 17 percent growth in online sales during the six months after the aution. “We are looking into new ways to maintain that momentum to include the expansion of the business,” said Hayes. Many nonprofits earn a good chunk of their revenue through sales. Some utilize an auction model to sell interesting or rare items while for others a standard online storefront works best. Some use online stores to sell strictly to members or constituents. The site has generated more than $190 million since its founding. Goodwill affiliates sold an estimated $48 million on the auction site during 2012, and $12 million between January and April 2013. Proceeds stay local to the Goodwill affiliate that sold the item. “Because many of these items are unique, the bidding process is able to get more revenue,” said Lauren Lawson-Zilai, director of public relations for Goodwill Industries International in Rockville, Md. Revenue from shopgoodwill.com “has been climbing every year,” she said. Shoppers can find more than 60,000 items on the site at any given time. According to Lawson-Zilai, many items go up on shopgoodwill.com because they might be difficult to sell in one of the thrift stores, or to maximize the item’s value. “Typically, shopgoodwill.com has been reserved for unique, innovative items” like paintings, vintage items and musical instruments, said Lawson-Zilai. She added that most Goodwills have a dedicated staff member to manage items and track bids. Sellers on shopgoodwill.com are all Goodwill agencies, and 139 Goodwills of 165 affiliates are registered to sell through the site. Shopgoodwill.com takes a percentage from the selling price, a sliding scale based on how many items an affiliate posts each month. It starts at 7 percent and goes down to 1.5 percent for affiliates posting at least 1,000 items per month. Organizations that don’t have an exclusive auction site can turn to online auction juggernaut eBay. Nonprofits in the U.S., Canada, the U.K., and as of 2012 Germany, can use eBay Giving Works for those unique items that donors sometimes give to charity. “For nonprofits, we see a world of opportunity to add value and support missions by giving them tools and access to a huge community of users,” said Sean Milliken, who is director of nonprofit strategy for eBay Giving Works and is based in Washington, D.C. Any nonprofit registered with eBay Giving Works, of which there are about 22,000 in the U.S., is eligible to list items on the auction site and get all of the seller fees refunded through the Nonprofit Direct Selling program. Registered nonprofits can also be beneficiaries of eBay seller largesse; sellers can designate a portion of sales to go to a nonprofit. There were 1.7 million listings produced by nonprofit direct sellers in 2012, said Milliken. In that same year, the giving program in all four countries produced more than $73 million for charities. That is both direct selling and other eBay sellers designating a portion of sales to their nonprofits. Milliken said he was unable to give a breakdown of direct selling versus donations from sales, but “We see direct selling as a very important piece of the value we provide,” he said. There are more than 100 million eBay users, which he said is the biggest advantage of an auction model compared to an online storefront. All 100 million are potential customers, in theory. “It’s less about the auction and more about the marketplace,” said Milliken. For nonprofits such as the Human Rights Campaign (HRC) in Washington, D.C., an online storefront is the way to go. “Online sales are very robust,” said Don Kiper, director of consumer marketing. Kiper declined to provide sales figures, citing organizational policy, but said that online sales “make up a nice percentage of our business.” HRC also has three physical stores, in Provincetown, Mass., Washington, D.C. and San Francisco, Calif. The organization’s popularity and public visibility waxes and wanes with the news, and so does its online sales. The online store sells merchandise mostly related to gay and lesbian rights and equality. “We’ve had a significant bump in sales (in early April),” said Kiper. The United States Supreme Court heard arguments for and against the Defense of Marriage Act (DOMA) and California’s Proposition 8 in late March, topics for which HRC advocates. Sales also spiked, said Kiper, when the repeal of the military’s Don’t Ask Don’t Tell policy on homosexuality was implemented in 2011. “Every electoral cycle we see significant spikes,” he added. HRC implements an aggressive social media strategy to promote its store and products, even in down times. It has a Facebook deal-of-the-week, a contest on Instagram where people submit photos of themselves wearing HRC apparel and others vote on the best, and T-shirt design contests. It’s important because “consumer marketing brings in about 15 percent of HRC’s new members,” said Kiper. The Society of St. Vincent de Paul (SVdP), in Maryland Heights, Mo., is just getting into online retail. A large part of SVdP’s revenue is from its brick-and-mortar thrift stores. There are approximately 420 stores in the U.S. and in 2011, 36 percent of the organization’s $360 million in revenue was from thrift stores. It also has a catalog for society members where they sell spiritual materials and leadership books. It is that catalog that was converted into an online marketplace in November 2012, according to national director of communications Charles Henderson. “That’s the way the mar­ketplace is going; people are becoming more comfortable getting information and purchasing online,” said Henderson. Members place between 800 and 1,000 orders per year. Henderson estimated that 20 percent of orders are from the website. “Online orders have made our membership more aware of what we have and made it easier to purchase materials,” said Jeff Morse, shipping and materials specialist. Henderson expects more of the membership to begin ordering materials online as the Web store becomes more entrenched. SVdP is promoting the store through electronic communications and its quarterly newsletter, as well as its Facebook and Twitter accounts. “It’s all part of the shift in the way we communicate with each other,” he said. The Retreat, a women’s shelter in East Hampton, N.Y., is another organization new to the online retail world. It opened an online storefront in April to complement its two brick-and-mortar thrift stores. Another advantage is the shelter’s location and its stores: the luxurious Hamptons on Long Island, N.Y., playground for the rich and famous where the average home costs more than $2 million. “We have designer stuff others might not be able to offer,” said Friedman. “Because our flagship store is in the Hamptons, we get a lot of that sort of stuff.” The only category of goods The Retreat won’t have online is furniture, which Friedman said is too expensive to ship.